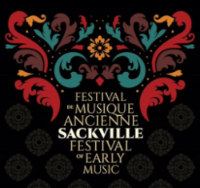 This week, the Sackville Festival of Early Music announced its fourteenth annual series of concerts and conversations, to take place from September 17th to 23rd in and around Sackville, New Brunswick. The announcement invites a question: what is “early music” anyway? The term as used broadly today describes music of the Renaissance, Baroque, and early Classical styles, spanning a time period roughly from 1500 to 1800. The term also refers to a style of performance that seeks to re-create the sound intended by the original composers, using instruments that date from their time. This year’s program offers a rich and varied sampler of early music experiences. The opening concert, on Friday, September 21st, will illustrate vividly how authenticity and imagination can combine to achieve an exciting re-creation of what music sounded like in earlier times. The ensemble l’Harmonie des Saisons (Harmony of the Seasons), based in Granby, Québec, will invite the audience to enjoy a musical soirée as it might have taken place in the home of composer Johann Sebastian Bach, in Leipzig, Germany in the mid-1700s. The following evening, The Rose Ensemble, a talented group based in St. Paul, Minnesota will present Land of Three Faiths: Voices of Ancient Mediterranean Jews, Christians, and Muslims. The program explores the musical interface between three cultures that have shaped the history of Europe for centuries. The third and final concert, scheduled for 2:30 p.m. on Sunday, Septembter 23rd, will feature guitarist Pascal Valois and violinist Jacques-André Houle playing a series of pieces that may well have been premiered in the Concert Spirituel, a popular concert venue that flourished in Paris between 1770 and 1790. Of course, music lovers who look forward to the Sackville Festival of Early Music every September know that the concert series is only one part of the event. The festival organizers are dedicated to introducing school children to their musical heritage and offering opportunities for those who cannot attend conventional concerts to hear excellent performances. Each year, the Festival Outreach Program brings in speakers and muscians to present public talks, conduct hands-on workshops at area schools, and give special performances at the Drew Nursing Home. This year will be no exception. The Festival will open with a public presentation by Mount Allison Fine Arts graduate Deanna Musgrave outlining her experience with what she calls “visual music.” The talk will end with performances of Anthony Genges’s piece ”Motion” and Jordan Nobles’s “Circle of Fifths” performed by Andrew Reed Miller (contrabass), Karin Aurell (flutes), James Kalyn (clarinet), Joël Cormier (percussion). Next, there will be a master class offered to Mount Allison music students by members of l’Harmonie des Saisons. And finally, school concerts, offered free of charge, will explore the theme “Sweden’s Secret” featuring Kirsty Money (nyckelharpa) and Jude Pelley (guitar), exploring the dance forms of Swedish traditional music, as well as other repertoire which the nyckelharpa enhances, including baroque repertoire and contemporary songs. Our very energetic Executive Director Gillian Dykeman will be leaving ArtsLink to reclaim time for her art practice and to put her love of teaching into practice at the NB College of Craft and Design. She will continue to champion the Arts Education project as she transitions into these pursuits over the fall. Gillian will be greatly missed when she steps away from her role as ED at the end of November, but we’re always happy to see artists return to their roots. Julie Whitenect will be stepping into the role of Executive Director come Dec. 2018. We are thrilled to have her experience and knowledge come to the helm. Her transition from Associate Director to Executive Director will ensure continuity for ongoing projects and service to our membership. Kenzie Hancox joined the ArtsLink team as a project coordinator in August. Sarah Jones continues in her role as coordinator of the Catapult program. Watch for a job posting for a new staff member in the coming weeks. Can you imagine Fredericton without a live performance venue like the Playhouse? Neither can we. We must make our plan for a new venue a reality before it’s too late. Our community needs it. Our artists need it. Our downtown needs it. Please have a look, follow along, and please SPEAK UP! If you think this project is important, your community needs to hear from you now. You ca subscribe to project updates through this link too! Artist Development Plan Template Tips! Having trouble filling out the new Artist Development Plan for Factor Canada? Here are some tips that might help! Deadline is September 27, 2018. For arts & culture supporters at election time in NB, read the unified message from from ArtsLinkNB, AAAPNB and artsnb. / Pour les gens qui soutiennent les arts et la culture pendent les élections in N-B, voici le message unifié émis par ArtsLink, AAAPNB, et artsnb. For arts and culture supporters at election time in NB, read the unified message from from ArtsLinkNB, AAAPNB and artsnb. / Pour les gens qui soutiennent les arts et la culture pendent les élections in N-B, voici le message unifié émis par ArtsLink, AAAPNB, et artsnb. At the same time, enjoy an assortment of secondary market pieces in New Brunswick Collects, wherein works from Miller Brittain, Fred Ross, Tom Forrestall, and Philip Iverson become available once again. A New Brunswick filmmaker plans to break into the booming webinar market with his new venture. Read full article on Huddle here. Check out Filmpreneur Facebook here. Until 31 August: Summer Fun Days are EVERY DAY in August! Regular admission. These family adventures are for the young and young at heart. Join the NBM for a full day of themed activities. Follow us on Facebook to ensure you can plan your day to capture all of the excitement.